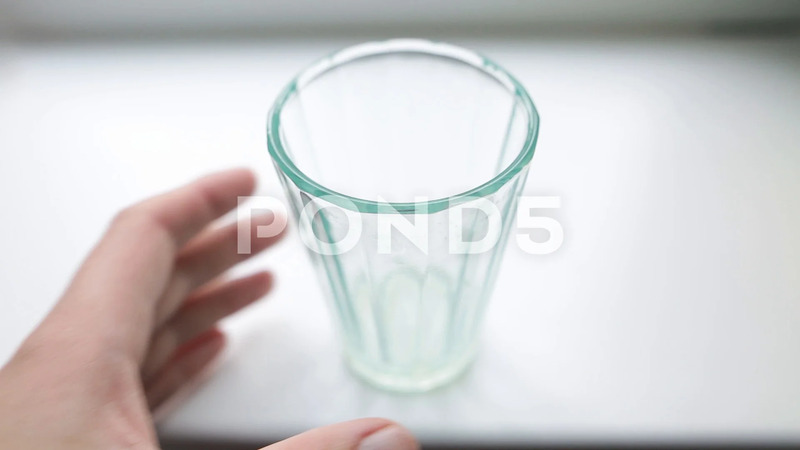 Description: Empty faceted glass in male hands. Young man checking if the glass is clean. He is looking at it from all sides. Close up shot on a white background.